Edwardian houses are long spacious houses which can accommodate several people in them. They stand for luxury, elegance, and aristocracy. You will come across these Edwardian houses while travelling along the outskirt regions of the towns and cities of England. These houses are a perfect place for the accommodation of families. In the Edwardian age, big families constituting of many members used to reside in these houses. The values of these houses have been treasured in time. Even in this era, they are looked upon as perfect houses to dwell in by families. Some of the old Edwardian houses are regarded as antique properties. These houses were constructed during the reign of King Edward VII, the successor of Queen Victoria. 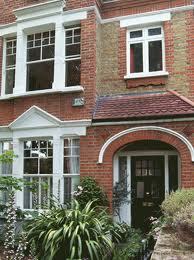 The trend of constructing Edwardian houses started from 1910. The number of household servant increases in numbers and electricity became a readily available commodity during the Edwardian era. Therefore, people adopted modern style of accommodation. 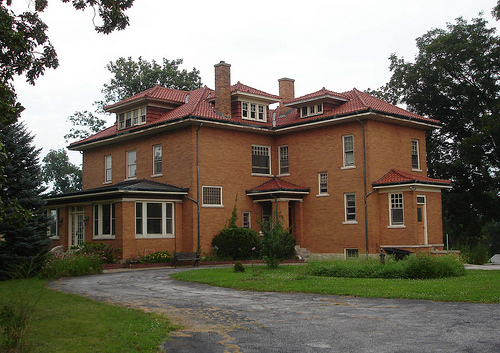 The Edwardian houses were an outcome of this trend. The Edwardian houses constituted of 2 storeys that were partly detached from one another. The rooms in these houses were considerably less in numbers but they were more spacious and airy. The interiors of an Edwardian house include a big hallway which is laden with a beautiful carpet. The staircase is really wide. The walls have paintings hanging from them. Where Will You Find Edwardian Houses? The middle class people built houses in the outskirts of the towns and used to commute daily to the cities via railways. Till date Edwardian houses are located in the outskirts of the prominent cities. These houses are largely concentrated along the outskirts of the major towns like Bristol (in Clifton to be more specific), Manchester (Victoria park), Birmingham (Edgbaston), Leeds (Headingley) and throughout London city. Edwardian houses can also be found along the sea sides. You will locate a belt of these houses along the coastal regions of Bournemouth, Eastbourne, Brighton, and also in Hove. Edwardian porches were pretty famed. It was massively important to have a porch on the front of the house during this time. If you did not have a porch, you would not be accepted in community. A porch is a structure which is attached to the doorway or vestibule to form a covered entrance to a building. They may or may not be covered by screens, windows, latticework or light frame walls. In the Edwardian era, these porches depended on the financial status of the people. The rich had porches made magnificently with rare materials while the poor had little space and materials for porch. 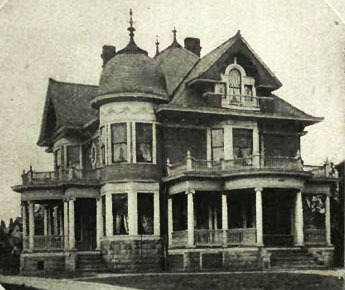 But all houses almost always had a porch to surround the main door. There were two kinds of porches chiefly. They were either inside the front main wall of the building or were protruding. Thus the porch could either have some covering or not. Protruding porches had some roof or wall on their side; this was some sort of structure from the main building that extended to the porch. This is seen in the porches which have a console bracketed roof and those that have roofs supported on through wood or brick walls or both. Chiefly these are the two forms of protruding porches that you get to see. In Edwardian porches, you generally find the porch extending around the front main door. There are two ways in which these porches are built. They can either be on the same plane with the main wall or they could be extending out from the house. If the porch did not stand on the same plane with the main wall, it was protruding; which means it was attached to some structure form the main building, like a roof. Wood frameworks or console brackets or a combination of both was used to hold up the roof of Edwardian porches. While it was pretty easy for the poor, the rich had lavish porches. Intricate porches can be seen in the rich families of this age. Even if wood was used to make their houses, it was always colored white, Ivory White. This color is a bit different from the bright white that we are used to nowadays. Edwardian porches became a semblance of beauty and magnificence for ages to come. 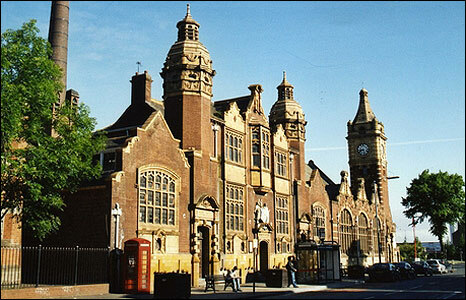 Edwardian buildings, with their large and spacious rooms, were a structure to behold. The Edwardian buildings were usually 2 floored houses. The Edwardian houses were built along the countryside. People used to commute to the cities via railways during the Edwardian period. There are some of the luxurious Edwardian houses that have survived till date. OTTAWA: A beautiful Edwardian house stands on Ottawa. This house is situated in Monkland st. the house bears large windows. They are simple looking windows, yet they look classy. The original windows of the house have been retained and they are protected by the owners. The roof of the house is provided support by the soffit. TORONTO: An Edwardian house that is used as a factory stands in King Street in Toronto. 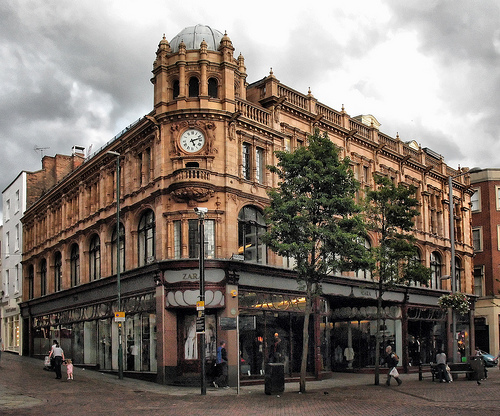 The front portion if this Edwardian building is very imaginative indeed. A lunette is placed above the front. Edwardian styled conservatories are the best option if you are thinking for constructing a conservatory at home. They are preferred because they present the best method to make use of the maximum space that is available. They are not usually flamboyant in their style. They are simple and cater to be need of utility. The Edwardian conservatories consist of a rectangle shaped floor area. They are quite different from the Victorian conservatories. They Victorian conservatories are more ornate as compared to the Edwardian conservatories. The Victorian conservatories have the corners cut off on the floors. This design looks good but a lot of space gets sacrificed in the process. If you want to keep furniture in your Victorian conservatory, it will be a very difficult job. The Edwardian conservatories have a stronger structure as compared to a Victorian conservatory. It is also bolder than its Victorian counterpart. By the look of it, an Edwardian conservatory carries a degree of subtle elegance. The structure of Edwardian conservatories really suit larger houses, bungalows etc. on the other hand, Victorian conservatories make them look fussy. The Edwardian conservatories have an interior space that is flexible and can be used for a variety of purposes. The space can be used as a play room, dining space, living rooms or anything that you like. The Edwardian era accompanied significant changes in areas like fashion and art. The Victorian era which proceeded the Edwardian era was a time of understated modesty. However Edwardian era experimented with various fresh ideas. Both the decorations and furniture of an Edwardian Bedroom was quite bold in its appeal. The easy availability of gas heating and lighting had a big say in the new Edwardian rooms. Electricity also started being available to the high class people. The lighting designs were hence renovated in a completely new form and even the fireplaces met with considerable changes. Improvised lights made the rooms visual treats. This perhaps was the beginning of the lighting designs we live in today. Unlike the dark palate of the Victorian era, the Edwardian reign saw a renewed interest in brighter shades. The most fashionable of people started to paint their walls in more pastel colours. Even the furniture started being made in brighter shades. The darker shades of the past generations were cast out of fashion coz the new monarch showed interest in more colourful decorations. The floral pattern replaced the complex patterns of the Victorian era on the wallpapers and furniture. 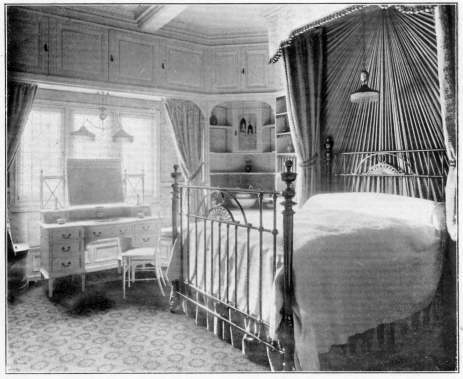 Gloss paints were another unique entry into Edwardian bedrooms courtesy the developing technology. This development also made the price of plate glass fall to quite a remarkable extend which in turn made it all the more affordable to the not so wealthy class. Large plate glass mirrors started being widely used in decorating bedrooms. One of the favourite spots was the mantelpieces above fireplaces. 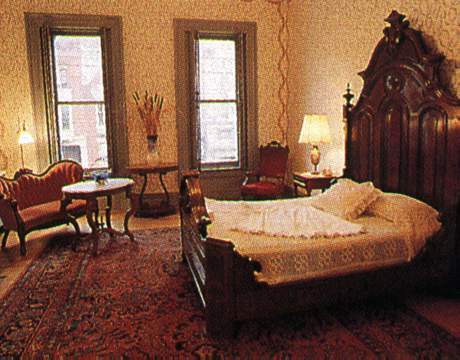 Edwardian beds laid major emphasis on comfort and class. Mahogany was used freely for the construction of durable and well carved beds. Iron and brass were amongst the metals frequently used for the same. Designer arched heads and footboards were presented with a modern and fresh touch. Ebony was also used for the inlays at times. Though the double beds started off in the late Victorian era, single beds composed the more used ones in the Edwardian age. Also worth mention here is the introduction of Art Nouveau movement. As part of this movement fireplaces and wallpapers started featuring natural elements and bold figures which included human figures and organic natural life. The Edwardian bedrooms were a good mixture of class and fashion. It was for once not formal and yet elite in its appeal. Edwardian windows render that lightness to the architecture. Though the entire idea of stained glass started in the Victorian era, Edwardian era continued on those lines. The stained glass of this era is of brighter color and more of pastel shades than black and brown or any somber one. Colorful motifs were popularized across England and designs were mainly of gardens or designs of flowers using soothing colors like blue, yellow in both primrose and chrome, light leafy green and their tints and shades. The changing of Buildings ACT in UK regulated creating windows in exterior walls so as a resulted the windows in Edwardian era were mainly in bays. Edwardian windows sprout from the main structure. It has an elegant look about it. The view is vast from these windows, facilitates better ventilation. It has comfortable window sills which serve as seats and these windows being the way they are designed serve as nothing less than a balcony. These windows are supported by brick or wooden external supports. These supports are painted in white. 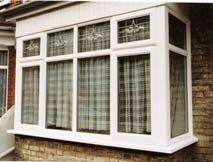 Edwardian Sash windows are two section windows which slide one over the other. It works on a system of pulleys and is balanced by weights on either side. These usually have wooden panes and are more distinctive from other designs. These have an upper decorative pane which is more than one in number. A part of this is fixed and other one slide. This allows more light. Edwardian windows are used in modern houses because it gives apartments a classy look rather than their usual drab self. 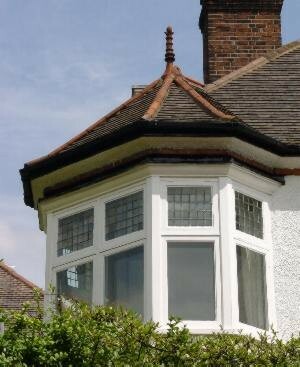 Usually used in penthouses and villas, Edwardian style windows are beautiful and elegant. How much do Edwardian houses cost today? The prices of these houses vary according to the location. The location facilities, proximity to the towns affect the price of these houses. These are big, spacious houses. So, you cannot bargain while purchasing them. 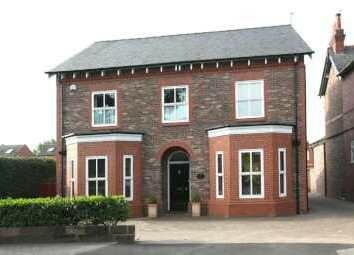 The approximate rates of a 4 bedroom, 1 bathroom house Edgbaston will be around 475,000 pounds. A 7 bedroom and 4 bathroom house near Finchley will be approximately 775,000 pounds.